When I was in the classroom, I had gigabytes of photos that I had to deal with at the end of the school year. For a few years, I chose to take the photos, put some music to them, and show them to the students before the school year ended as a way to celebrate the year. Now, there are many more options teachers can take. Putting all the pictures together can be a great way for both you and your students to reflect on the school year. 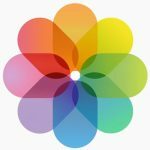 If you have the Google Photos app on your smartphone, it is easy to put pictures together to make a slideshow. First, hover over the photos until you see a check mark. Click it to select the photo. Next, click the plus button at the top of the page. Select what you want to make with your photos. If you haven’t already, I highly recommend downloading Google Photos to automatically back up your photos to the cloud. In Apple Photos, select the pictures you want to add to your collage or video slide show by holding Command while highlighting the pictures. The next step is to click the plus at the top of the screen and select what you want to do with your photos. This is an easy-to-use application that does not require an account. All you have to do is drag your photos from your computer to the canvas, and choose the template (the way you want your photos arranged). 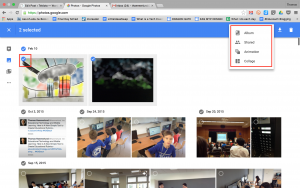 You can then download the photo collage to your computer and email it out, or post it on your class website. Formerly called Adobe Voice, and exclusive for the iPad, Adobe has made this tool available as a web-based app. Adobe Spark is my number one recommendation for creating videos. It’s easy to use and includes different themes and theme music. The only downside is that you need an Adobe ID to register. But, all videos you make are stored on that account and can be accessed online or on the iPad. Take a look at what our Grade 1’s are making using Adobe Spark.